Fifteen years ago, Dr. Spencer Johnson wrote a seminal book on change, and how we all must learn how to adapt to changes in our business and personal lives. I don’t think the imaging industry ever came up in 1998, because things were just humming along. Sure, film changed to digital, but the transition was anticipated and smooth. Well, someone just kicked the cheese out of the room. Our industry is going through a metamorphosis. And it’s not all bad. On the positive side, people are taking more images every day than ever before, and the trend is predicted to continue. This growth is not only leading to a renewed appreciation of photography, but it’s changing the way the world is using photos. More and more images are being sent, forwarded, shared and posted without words attached. Pictures have always told stories, but now they’ve become a new language, leading to an even higher appreciation of the power of the image. On the downside for many in our industry, the smartphone has become the de facto picture-taking tool. It’s convenient, it’s seamless and it has become the spur-of-the-moment capture device. This transition from point-and-shoot camera to smartphone has clearly translated into a decline in that portion of our business. Back to the upside: the DSLR business is alive and well, and the mirrorless segment, while not growing at the pace most of us had hoped, is still gaining ground. We’ve recently seen innovation that marries the superior images of the DSLR to the delivery device of the smartphone, resulting in a win-win for the industry. Innovation has not stopped; in fact, it continues to inspire new devices and technologies that are answering the conundrum of not just how to share images but how to share good images. So what can we do? Well, for the most part, we can help. More pictures on more hard drives and phones and cameras and SD cards and in the cloud means many of our customers are in utter chaos when it comes to organization—picture the mouse running on the wheel, looking for that cheese. We, on the other hand, are the experts. We understand how to organize, and print, and share, and turn seemingly lost images into memories. That is a business that can grow. And our mentorship will lead to more trust—and more sales of hardware and other devices. As I’ve said in the past, as technologies change, businesses change. We’ve been on the positive side of change for a long time. Now we have to learn to adapt to other’s technologies—and grow this business from the standpoint of a consumer who is practically addicted to taking pictures. Not a bad place to start. To do this, we have to accept that our cheese has been moved. But it’s still in plain sight. We can all agree that the culture of image making is drastically different than it was just a few years ago. It is impossible to ignore the impact of smartphones, how consumers capture and share images, or the accelerated saturation and commoditization of low-end compact cameras. One thing that has not changed is the emotional desire for people to capture the best quality images or videos to share. We have to assume the responsibility to promote the benefits of full-featured cameras, demonstrate their advanced optical capabilities, large image sensors capable of low-light photography, and Wi-Fi connectivity. Such features give us an opportunity for growth in the high-end compact and DSLR markets. In the pursuit of high image quality, consumers are moving up to interchangeable-lens cameras with advanced features. DSLRs allow them to be more creative and expand beyond the boundaries of a smartphone or point-and-shoot camera. Beginners and enthusiasts can be spontaneous and imaginative while shooting stills or HD video. Canon has been very successful with its EOS Rebels, and our EOS Rebel SL1, which offers full DSLR features in the world’s smallest form factor, is ideal for consumers ready to take that step up—and really appreciate a small, lightweight camera. Our commitment to photography extends beyond cameras. Our PIXMA inkjet photo printers are perfect complements that deliver exceptional printed photographs with convenience and speed. It’s important to keep in mind that consumers are unique and everyone has their own style and preference for sharing via photos or videos. Because of this, we must create unique, relevant imaging products. For example, our VIXIA mini personal compact camcorder and PowerShot N camera are two examples of distinctive, nontraditional cameras that allow for personalized expression. While boundaries between traditional cameras and video cameras are less defined, there continues to be a healthy market in the advanced amateur and professional camcorder category. The most significant advancement for Canon has been our Cinema EOS models, which have allowed more documentary, TV producers and filmmakers to tell their stories. Interest in taking great pictures is stronger than ever, although the tools are changing. People are experiencing photography in a whole new way, taking and sharing more pictures thanks to the prevalence of smartphone and tablet cameras. While entry-level point-and-shoot cameras are being replaced by mobile devices, market demand for high-quality compact system cameras is growing. Fujifilm recognized this trend early on and has invested heavily in its X-series compact and system cameras, which feature large sensors, advanced processor technology and high-quality lenses. All this adds up to phenomenal picture quality that cannot be attained in a smartphone. Smartphone cameras have real limitations and cannot keep up with consumers’ active lifestyles. People are looking for cameras that can go where they go, and take great images that are easily shareable. As a top seller for the last four years, Fujifilm’s waterproof FinePix XP line of cameras has experienced strong year-round consumer demand. And in case you thought analog was dead, Fujifilm’s Instax instant cameras are a classic take on modern photography that delivers instant gratification. There is renewed interest in the uniqueness of instant photography, and for retailers, this is an opportunity to sell an engaging product that has a recurring revenue stream from film sales. Masahiro Horie, Director of Marketing and Planning, Nikon Inc. This is a special year for Nikon. We are celebrating the 80th anniversary of Nikkor lenses and our continued commitment to achieving optical excellence—and a long-standing legacy of superior lenses. We recognize that today more than ever, consumers desire a long-term relationship with a brand such as Nikon. This relationship should be built on reliability and trust that our products will meet their needs to capture the world and share moments. Digital and mobile social proliferation has spurred a renewed interest in photography; consumers are documenting and sharing every moment of their lives. We see this as an opportunity for Nikon and the industry to take our imaging excellence and commitment to innovation to meet the needs of consumers that are enthusiastic to document, to learn and be inspired through photography. As more and more images are shared, we are seeing a growing consumer interest in purchasing entry-level and enthusiast DSLRs. We believe the time is optimal to further fuel the passion to shoot with camera systems and accessories, including Nikkor lenses—helping consumers improve their photography, be creative and capture more of their world in a better way. As imaging professionals, we know the benefits that cameras provide: low-light capability; better lenses; innovative features; and superior image quality. However, we also recognize that convenience to instantly communicate is often a bigger priority for consumers, and mobile devices will always be found in their hands. We aim to coexist with mobile devices, while continuing to innovate the products we create to help consumers take and share better images. The industry has already moved toward this, including our products that offer connectivity to share through mobile devices and Wi-Fi enabled cameras. The year 2013 has been one of transition for the imaging industry, and 2014 should be the beneficiary of these changes. Panasonic has invested heavily in researching the desires of our diverse market segments and then delivering a feature set that cannot be beaten. Our point-and-shoot cameras have creative effects and numerous other applications that allow the consumer to become better skilled and more imaginative and give professional photographers the opportunity to build their businesses and potentially add to their bottom lines. Panasonic’s point-and-shoot cameras have a broad array of features, including HD video capability and long zooms; several of our models are equipped with Wi-Fi and remote control/viewing from a smartphone device. Our Lumix G series continues to evolve and can be used to capture video just as easily as the still image. This allows the photographer to enter the world of Hybrid Photography—the combining of still, video and audio as a popular form of photographic display in tune with the social media world we live in. We have created a photo community centered on a true social media experience, the Lumix Luminary Lounge. Users who join the community through various social media have the opportunity to interact with and get tips from our Lumix Luminary photographers, a group of photography professionals and enthusiasts hand selected by Panasonic as ambassadors for the brand. The digital imaging industry is undergoing some major changes. Consumers are faced with the decision of whether they even need to carry a digital camera or camcorder when they can use their smartphone to capture pictures and videos and then share them instantly on their social networks. For Polaroid, products that fulfill a particular usage model or appeal to a specific target consumer have been our top performers. Examples include our waterproof models, such as the iF045 dual-screen waterproof camera; our bridge cameras, like our soon to be launched iE3638 compact bridge camera that offers 36x enhanced optical zoom and HD video; and the Z2300 digital instant camera. In addition, our new lineup of mountable sports video cameras has gained a lot of traction this year, and we are very excited about our interchangeable-lens Android-powered smart camera, the iM1836, which will be shipping this month. The photographic industry is perpetually evolving, which is what makes it such a dynamic industry to build. At its core is getting the image right at the moment of capture, including how a picture will be used. This requires products that anticipate consumer habits. Our responsibility is to provide consumers with products containing robust features and specifications that encourage them to abandon the crutch of convenience promised by their mobile device. The best way to take advantage of this evolutionary state is to give consumers revolutionary products. Features like customizable colors and rugged capabilities, such as weather sealing and cold proofing, offered at an affordable price, elevate the camera into a lifestyle accessory, generating the desire to add a second DSLR or new lens mount to a household. Incremental sales like these create opportunities for additional lens and accessory purchases from customers who might not have been considering adding to their collection of equipment, and they are the key to market expansion and ultimately industry growth. Looking forward, manufacturers must define the evolving habits of the consumer. Digital convergence is changing their behavior, enabling the expression of an array of preferences. For example, in recent years a new shooting style has emerged, turning image framing into something that happens at arm’s length. The rise of the smartphone camera and the resulting dip in point-and-shoot sales are changing the way consumers and manufacturers view advanced photographic equipment. This will prove to be both a sales opportunity and a brand differentiation challenge for camera and lens manufacturers in the months ahead. The mirrorless interchangeable-lens camera (ILC) market is growing, and affordable DSLRs—and the lenses that pair with them—are being announced with greater regularity. Manufacturers are tasked with reinforcing the value of these traditional, more technical photography tools. They must educate and engage entry-level photographers and deliver accessible products that entice smartphone shutterbugs to take their art to the next level. As more lens and camera options are introduced, brand loyalty becomes more imperative for manufacturers—especially in the professional photography market, where the average spend is significantly higher and more frequent. Brands that provide photographers with more creative options and greater flexibility will differentiate themselves in this fast-moving marketplace. Sigma’s leadership anticipated this market shift, and we’ve introduced some really impressive products and services that underscore our pledge to innovation, accessibility and, most important, our ever-evolving customer base. It started last fall with our announcement of the Sigma Global Vision line and the reorganization of our lenses into three, simplified categories: Art, Sports and Contemporary. The goal was to empower photographers, especially those just starting with interchangeable-lens photography, with guidelines for lenses that are best suited to their specific photography, while furthering our commitment to them by establishing a higher expectation for the quality of the lenses we produce. The Global Vision approach includes additional quality control measures and the introduction of a USB dock that lets photographers update, customize and control their lenses. Revolutionary products and services, like the 18–35mm f/1.8 DC HSM and the Mount Conversion Service, which enables photographers to swap out lens mounts to fit different camera systems, followed. Innovation. High-level performance. Simple connectivity and flexibility. These are just a few examples of strong consumer demands in today’s imaging market—demands that Sony continues to focus on and deliver to our customers. Consumers are more engaged than ever, as the explosion of social media has led to a new culture of Visual Communication. Why use text when a picture (and a video) is “worth a thousand words”? What was once a hobby is now a way of life. Taking advantage of this ever-growing interest in imaging requires the same vision and “think different” approach that we’ve demonstrated in the past with the introduction of award-winning cameras like the Cyber-shot RX100 and RX1 models. Consumers are still craving high-quality results but are looking to achieve them in more convenient and manageable ways than ever before. Sony’s newly announced products are perhaps our best examples to date of this type of thinking. The especially unique QX series lens-style cameras (models QX10 and QX100) create an all-new solution for the mobile photographer, expanding both what a camera and smartphone can do when paired together. The AX1 4K camcorder takes what was once only available to movie studio production and puts it within reach of individual filmmakers. The Music Video Recorder MVR1 gives emerging musicians a tool to share their art with a wider audience (and in better quality) than ever before. The new NEX-5T camera strikes the ultimate balance of size, performance and connectivity in a compact system camera, while the a3000 model brings the benefits of large-sensor imaging and interchangeable lenses to new and different customers. The digital imaging industry is in a state of flux; it’s being challenged like never before as consumer habits shift with technology and social trends. Digital cameras are being overshadowed by smartphones, as built-in high-quality cameras make it simple for consumers to snap and share. Consumers are driven by convenience, and what could be more convenient than having a camera inside the phone you constantly carry around? Amplifying the cameraphone’s popularity are apps such as Instagram and Vine; usage figures indicate that more than 40 million photos are shared everyday on Instagram alone. Smartphones allow consumers to share photos or videos on Facebook, Instagram, Twitter, Vine, etc., within seconds of capturing them. So what can the digital camera industry do to remain relevant and get products in the hands of consumers with features that appeal to them? In analyzing social conversations of consumers using Crimson Hexagon’s unique ForSight platform, we were able to cull interesting data that speaks to that challenge. Crimson Hexagon found consumers already desire or enjoy digital cameras with Wi-Fi capabilities and integrated photo sharing; it represents nearly 20% of the total conversation. However, almost 25% of consumers express uncertainty regarding which camera brands offer these capabilities. The good news is they are interested and looking for information. There is an opportunity for digital camera brands to emerge as market leaders through promotion and consumer education on Wi-Fi and sharing capabilities. Additionally, brands should be aware that 19% of consumers are showing an increased interest in photography. Instagram enabled users to explore their creative sides and, in many cases, develop a true passion for photography. This increased interest is good for brands that are trying to capitalize on the current explosion of amateur picture takers. The digital camera market is in a free fall. For the first half of CY2013, market growth plummeted. Market demand for compact cameras has been almost halved from 2Q 2012, and demand for interchangeable-lens compact models has softened as well. With this in mind, IDC has reduced its digital camera forecast. The slowdown is indicative of a global trend around consumers moving en masse toward utilizing smartphones at the expense of stand-alone cameras. Over the forecast, IDC expects that demand for cameras will come from enthusiasts and prosumers. As such, we predict ASPs will increase. Purely consumer-focused products, regardless of segment, are facing an uphill battle as many average consumers now utilize smartphones for their photography needs. Where does the industry go from here? IDC sees a few ways forward. First, vendors need to focus on the enthusiast and prosumer. This type of user is sophisticated enough to understand the value that stand-alone cameras provide. IDC predicts that not only will vendors move upmarket in the compact space but will also do so in the ILC space. Like a good home-cooked meal, Slow Photography is where the creation and capture of the photo is enjoyed as much as the photo itself. This segment appeals to consumers who like photography and for whom high-quality image capture is very important. Digital cameras play here and it remains a very valuable market. Like fast food, Fast Photography involves quick creation and consumption. The value of these photos is fleeting, with most used for immediate social and communication purposes. This segment appeals to social media users and those who want to share moments with friends and family. Today’s mobile devices play in this segment. Consumers who capture occasional photos for memory-keeping purposes typify the Casual Photography segment. Photography is not high on their list of interests. People who rarely take photos and snapshot photographers fall into this segment. Will the Industry Come to Its Senses in 2014? Detroit’s ugly truth hit. Unsustainable financial practices can’t continue. Will the imaging industry recognize that will soon happen to imaging? We lament that our “core customers” are dying off. Cameras are losing to cameraphones. It’s our fault. We aren’t feeding the missionaries to proselytize imaging’s benefits for the consumer. It goes beyond the suffering of the independent imaging retailer. It’s an industry-wide problem as the big-box stores continue to jettison imaging products and services. Many of us were uncertain about PMA’s The Big Photo Show. I saw with surprise and delight the 15,000+ consumers who wanted to take better pictures. My interviews of these consumers verified they do want better pictures. Most don’t know what to buy, where to buy or even how to research it. While shows are beneficial, there has to be local imaging proponents and resources for the consumer. The drought of effective retailer advertising is part of the reason sales are down. As an industry, we need many voices telling our story. We need big boxes reminding consumers of the benefits of imaging. As these astute merchants focus on margin dollars per square foot, imaging is downsized. They have no loyalty to imaging. If the industry can’t be competitive on return to the retailer, these retailers will seek return elsewhere. Ben Arnold, Director, Industry Analysis, The NPD Group, Inc. The continued decline of point-and-shoot camera sales has forced the imaging industry to increasingly depend on the premium DSLR market. Unfortunately, recent DSLR sales have missed the mark, with flat sales through the first half of 2013. The sales numbers, however, should not be interpreted as an indicator that photos are less important than a few years ago; they are instead a sign that image capture devices need a more comprehensive link to our online lives. The one area that has seemed to make that connection is mobile phones, where the growth of photography on those devices and the array of supporting apps are evidence photography remains an integral piece of consumers’ lives. Data from the NPD Group’s retail tracking service shows that through the first half of 2013, just 6% of interchangeable-lens cameras sold were Wi-Fi equipped. While advances in smartphone camera technology have made them better capture devices for sure, it’s the phone, not the camera, that makes them popular. New products on or coming to the market provide hope. Samsung’s Galaxy camera combines high-end point-and-shoot specs with all of the connectivity and apps that consumers desire. Sony’s “lens camera,” while technically a phone accessory, is another effort at bridging the gap between high-quality imaging and the consumer’s life online. The photo industry is struggling. The classic POS model continues to decline as the emotional connection between consumers and individual images disappears, overloaded by the multitude of images shared on social media and quickly forgotten. Some companies have been successful in niche markets, because they entered the market with a new point of view toward consumers. In order to reverse the trend and improve the industry outlook, companies must increase their interface capabilities to address the special needs of an increasingly diverse consumer market. The diversity is growing, so both services and product offerings must follow suit. Market segments, including Digital Moms, Silver Surfers and Sharers, each value different tools and products. The consumer’s time is valuable, and saving time is top priority, so product ordering must be convenient for them. The percentage of orders placed through mobile devices has increased sharply from 2% to 10%, and Ecce Terram has mirrored this trend by adding capabilities to their mobile suite. These solutions include true social imaging with project sharing, real-time collaboration and anytime, anywhere product ordering. Strategies that drive customer loyalty instead of reducing quality and profit with daily deals are needed. Tried-and-true methods, such as up-selling and cross-selling, are still valid. How the consumer orders is changing, but what they order is changing as well. For the photo industry, one potential venue for retailers is the home décor market. Personalized products like posters for walls and doors, shower curtains, wallpaper and hanging tapestries offer a vast range of new possibilities. New devices such as Wi-Fi and app-based cameras, Google Glass, Recon Jet and GoPro cams will make it less difficult to reach consumers and convince them to do “more” with their images. The photographic industry continues to be in a state of flux and uncertainty, but as we all know, the strong survive. With more images than ever in the marketplace, now is the time for retailers to set themselves apart from the competition. At Noritsu America Corporation, we are helping our customers achieve a new level of success by offering an equipment product portfolio that helps them grow their business. Retailers in our industry today must refuse the strategy of outsourcing and becoming a “Me Too” imaging provider. Noritsu offers the only high-quality duplex equipment in the marketplace to increase your bottom line. It is easy for someone to outsource double-sided products, but will this low-quality solution and slow delivery time really help your business grow if everyone else is doing it? Category growth is within the grasp of everyone willing to open his or her mind to fresh marketing ideas. Replacing old worn out equipment with new equipment that produces only what you have produced in the past is a flawed strategy, as the business growth is in new products. Holding on to equipment that keeps you in the traditional print market will not carry you to the level of success that you deserve. While readers of DIR are almost all in North America, to get a true perspective of the photo-imaging industry, I believe one must look at the whole world. Why? Photo Imaging News forecasts that the number of equivalent 4×6-inch individual prints being made worldwide will grow at a CAGR of 4.5% from 2012 through 2016. If we include the “prints” that are being produced in photo books, the growth is an even more encouraging 5.6% CAGR. What is driving this growth? In Germany, for example, more than 5% of all prints are made from smartphone images. Asia leads the world in the adoption of smartphones with high-performance cameras. Retailers have reacted by providing apps and making it easy for consumers to download and output these images. Are we doing the same in the U.S.? A recent industry forum exchange covered the need to move from “manufacturing” to “marketing,” providing customers with products that they want rather than only products that you can make. With the Internet, retailers have this opportunity, since consumers don’t expect every item to be delivered “within an hour.” And, if consumers cannot find what they seek at their regular retail location, they will go somewhere else. With the rapid adoption of smart technologies, the digital imaging industry must continue to develop innovative services and software to meet the increasing connectedness of consumers, while continuing to provide hardware solutions that make sense for changing habits. Eye-Fi’s new Mobi SDHC card, for example, seamlessly links the power of apps and social sharing on smartphones and tablets with continued consumer demand for high-quality pictures and videos. Digital cameras come back into focus for all photo enthusiasts, not just professionals, who want to capture great memories yet live on mobile devices. Mobi’s completely revamped and simplified setup and functionality is already demonstrating a solid step forward. As we head into 2014, companies that can bring together the devices consumers use with the apps and services they love will emerge as leaders, creating new, far-reaching opportunities for camera companies and complimentary services around photos, videos and digital imaging. Gary Fong, CEO, Gary Fong, Inc.
About a year ago, I became frustrated trying to load our dishwasher so that everything fit. What goes on the top shelf versus the bottom shelf? Confident someone had answers, I turned to my faithful, know-it-all companion, YouTube. Success! A little old lady suggested I alternate the plates and bowls, thereby keeping all the dishes upright and maximizing the flow of water. In 120 seconds I learned a minor life-changing lesson that will forever save me time and frustration. I quickly found myself using YouTube as my reference for how to do anything. And so it dawned on me: I, too, could make tutorial videos to help people. I would teach photographers how to correctly use Gary Fong flash diffusers on the YouTube platform. What I didn’t know is that I would become a YouTube advocate and addict! There is no parallel for target market impressions, nor a better platform for us to invest our time and marketing dollars than YouTube. Every month, more than one billion unique users visit YouTube and six billion hours of video are watched—that’s nearly one hour for every person on Earth! On the Gary Fong YouTube channel (youtube.com/user/GFIGaryFong), which includes 287 tutorial videos, we have nearly 14,000 subscribers and have generated over 3.2 million page views! YouTube is localized in 56 countries and across 61 languages, and according to Nielsen, it reaches more U.S. adults ages 18–34 than any cable network. By comparison, traditional advertising is not only subpar in ROI and ROTS, but it’s also quite passive. We are known as a trusted source for quality and design in the accessory category, but our responsibility to our customers doesn’t stop there. Customer education is the cornerstone of our business. It is imperative we utilize monumental tools such as YouTube to teach customers how to bring our products to life. Otherwise, our products are nothing more than pieces of plastic that could be laid to rest in photographers’ closet graveyards. The flash memory card industry continues to thrive as exciting new technologies in cards and the devices they are used in become more advanced. Speeds and capacities have increased while pricing has generally gone down, making flash cards more affordable for the masses and photographers of all levels. For the past several years, consumer adoption of SD cards for point-and-shoot and DSLR cameras has increased on Class 10 speed (10MB/sec or above transfer rates) and SDXC cards (capacities above 32GB to 2TB). The overriding use scenario for faster speeds and higher storage amounts are HD video recording and RAW-format photography. The latest trend is the increase of capture devices that support the UHS-I specification. The ultra-high-speed spec allows throughput of up to 104MB/sec and enhances high-definition recording and playback. A new technology on the horizon is UHS-II, which pushes the performance envelope to 312MB/sec. We are in the early stages of this technology, and every new card requires the right device to take full advantage. The next great evolution of SD cards could include connectivity over Wi-Fi and authentication/security procedures in conjunction with smartphones. Card readers have kept pace with emerging card technologies. Readers take advantage of the higher speeds offered by USB 3.0 to transfer large images, videos and other files quickly. Even wireless readers are available to stream, share and transfer content from cards. The flash memory industry continues to advance, keeping pace with the growing number of capture devices that go beyond cameras. According to the SD Association, the governing body of SD cards, 78% of all mobile phones shipped have a memory expansion slot. Kingston has seen volume and average capacity purchased go up, as customers are buying 8GB or higher. The ease of snapping a picture wherever one is with the multifunctional smartphone is proof that people are carrying around more and more data. Photographers and videographers are always on the go. Whether they are setting up appointments, scouting new locations, shooting, or finalizing photos and videos in postproduction, these professionals are always looking for the most efficient ways to get the job done correctly—all without losing any valuable footage or shots. With such a fast-paced lifestyle, some just don’t have the time to take a break and evaluate a new technology that may increase their workflow. This is where resellers can step in and make a difference. The industry continues to evolve with new standards that allow manufacturers to introduce new memory card formats, card readers and editing software, with the promise that these standards and technologies will deliver increased performance and the best experience. These standards and technologies don’t only span through the accessories but are also incorporated in host devices such as cameras and PC/Macs. For example, the ideal combination of a new, high-end DSLR using CF UDMA 7 technology with a CF 1,000x UDMA 7 card creates an optimized shooting experience, followed by excellent transfer rates through a USB 3.0 reader that will utilize the USB 3.0 port in a PC/Mac for transfer up to 90MB/sec. Today’s imaging industry continues to be influenced by two core efficiency trends: increased supply efficiency with dealers and more information sharing. In recent years, retailers have begun to better understand their customers, what products fit and where the best value is for dealers. This is improving supply efficiency, as it drives product diversification to meet more customer needs and helps the value provided by sales forces. Salespeople must spend more time as business managers and inform retailers on what to carry based on increasingly varied customer needs. In addition, better information sharing means manufacturers have begun communicating more with partners to help identify trends, further segment customer bases and increase sales. Manfrotto is closely watching these shifts and, as a result, is focusing on core products that appeal to all audiences—from entry-level tripods, monopods and bags, all the way up to professional video supports. Manfrotto is also working more with its retailers to identify the individual needs of photo specialists at all levels. For example, as demand for point-and-shoot cameras decreases and demand for compact system cameras and digital SLRs increases, Manfrotto is evolving its product offerings to fit these best-selling products. In this era of extraordinarily rapid technological change, few retailing strategies stand the test of time, but one crucial exception is promoting and motivating accessory sales. For imaging retailers, the key is relationship marketing, which really boils down to understanding who your customers are and what they need to take their digital imaging to the next level. However, unlike before, the range of customers can be as diverse as a parent using an iPhone to video a family event, an action sports enthusiast using a GoPro camera to capture their extreme activities or a professional photographer using a DSLR in the field. For every one of them, the right accessory can take an image from good to great. Few things have the power to bring people together like a great photo. A 2013 CEA report found that 94% of digital photographers share their pictures with others. The message is clear: photos aren’t fading; rather, the technology that produces them is evolving. In my latest book, Ninja Innovation: The Ten Killer Strategies of the World’s Most Successful Businesses, I argue that innovation is about reinvention. The digital imaging industry must become “ninja innovators” in order to adapt, adjust and dominate the market. The digital imaging market is split between those who typically use their smartphones to take photos and those who rely on traditional point-and-shoot cameras. While younger consumers tend to rely on their smartphones for taking photos, the future of the digital imaging marketplace appears to be headed toward multipurpose cameras. CEA’s study found that smartphone photographers are not as satisfied with editing and printing capabilities offered on their devices. These consumers say they want built-in editing apps and downloadable apps for creating and ordering pictures directly from their devices. By adding these apps and features to point-and-shoot cameras and making them superior to those available on smartphones, it’s possible to persuade some of these smartphone photographers to adopt (or readopt) point-and-shoot cameras. Most smartphone photographers say they would prefer one device that takes pictures and also edits, shares, prints and stores them. Making apps for cameras that achieve these goals would appeal to younger, more tech-savvy photographers. The year 2012 was a hallmark year. According to InfoTrends research, over 100 billion images were captured in the United States—and for the first time ever, more photos were taken with cameraphones than digital cameras. Our world continues to expand rapidly, providing new challenges—and opportunities. The Digital Imaging Symposium, jointly sponsored by Digital Imaging Reporter, CEA and PMDA in June, was a day of thought-provoking dialog on evolving opportunities. For example, we learned from social media listening analysis that an introduction to photography via cameraphones may be a catalyst for the purchase of advanced photography equipment. Presentations on the evolution of video technology and 3D printing highlighted new paths toward future revenue. And a spirited conversation led by Amazon, Verizon and Suite 48 Analytics (experts in mobile research) highlighted the need for more robust meta data collection. As a result, CEA will launch a meta data standards initiative to help define image file requirements, ensuring that consumers will be able to effectively search through the thousands of images they take. Finally, to stimulate consumer purchase of quality capture technology and creative photo output, CEA is working with PMDA and Innovations in PhotoImaging to develop a consumer education campaign. We all know that great photos captured can result in emotionally rich photo output. We are working to bring this top of mind for consumers. Stay tuned. We welcome you to join us as we facilitate these industry-wide conversations. Please contact Melissa Matalon for more information on the CEA Digital Imaging board: mmatalon@ce.org. The International Photographic Council (IPC), an NGO of the United Nations since 1983 with global membership, is dedicated to advancing the economic and social well-being of the global imaging industry. The year 2014 will be an important one for the industry. IPC is preparing for another UN Photo Exhibit and for the celebration of the 175 Jubilee Year of Photography at photokina 2014. The total shipment of mobile devices will rise 5.9% to 2.25 billion units this year and rise again in 2014 to 2.5 billion units, driven by portable, less expensive mobile devices such as smartphones and tablets, according to Gartner Market Research. Smartphones have been taking market share from digital cameras, and Canon decided to fight back with a new advertising campaign and ad tagline: “Don’t Let a Call Interrupt Your Photo.” Canon’s campaign focuses on the “phone” part of the cameraphone and how it can turn into an annoying interruption. What if you get a call while you are lining up people for a photograph with a smartphone? As the president of PMDA, I am cautiously optimistic about our imaging industry. As the old Chinese blessing/curse goes: “May you live in interesting times.” Well, we are certainly living in interesting times. Over the last 12 months, we have seen the amazing demand of full-frame DSLRs as a new understanding of consumer affordability was realized. Within the terrifying storm of the decline in point-and-shoot camera sales, a silver lining has appeared in both premium compact and high-zoom subcategories. And in the turbulent waters of camcorders, we bear witness to a new island of opportunity called POV camcorders, whose wave of success has created a ground swell of accessory opportunities we have not seen since the early days of smartphones. Ah yes, the smartphone and those three dreaded words that keep us up late at night: “It’s good enough.” Well my dear colleagues, the smartphone world is here to stay, and guess what? We are still here! Our industry has picked itself up and weathered the “storm.” Yes, we still are not in calm waters, but within the waves of “change” there are truly currents of opportunity. Across our great industry, companies are reinventing what traditional cameras can do: we are integrating our expertise in sensor, lens and workflow. Our consumers can now choose a purpose-built camera platform that embraces mobile technology, and an entirely new uncharted sea of discovery lays befor our ships of industry. Our industry continues to face several challenges—but also a great many opportunities. Declining demand for prints and photo products, the increasing use of smartphones as capture devices and the economic downturn—from which we are finally emerging—have all created a difficult climate for many imaging businesses. There is much good news, though. Advances in digital camera technology, smartphones, photo apps and social imaging have created a greater interest in photography than ever. More than 10 million people in the U.S. alone consider themselves photo enthusiasts, and these passionate amateurs are investing in their hobby. The new PMA 2013 Rise of the Amateur report shows hobbyists/amateur photographers spent an average of $1,824 on cameras, equipment and software in 2012—an increase over both 2011 and 2010. That bodes very well. Nothing demonstrated the bright future of this industry more clearly than The Big Photo Show, which was held for the first time in May. More than 16,000 attendees proved that enthusiasts, amateurs and even pros are hungry for photography education; to see, touch and purchase photography equipment; and to have face-to-face discussions with manufacturers, distributors and retailers. The challenges this industry faces are to foster and encourage the love of all things imaging among photographers at every level; to help consumers recognize the value of a quality image; and to educate them about the many ways to permanently enjoy images with output. Smartphones are supplanting point-and-shoot cameras with alarming speed. This is the biggest challenge faced by our industry since the digital revolution. Nonetheless, those of us hearty souls who survived and prospered through earlier dislocations know the secret—adapt to new realities and look for opportunities they present. Among these opportunities are the growth of DSLRs and high-end cameras, the ability of cameras to shoot video, and smartphones and social media turning everyone into a photographer/videographer—and a potential customer. To serve these markets the principle remains the same: use accessories to differentiate your store and make a profit. Accentuate what sets you apart from big boxes and online giants—expertise, knowledge, service. Show customers why they need a tripod for long lenses and to shoot video, how filters protect lenses, and how a polarizer helps create better images by eliminating reflections/glare and darkening the sky—effects not possible with Instagram or Photoshop. Argraph’s mission has always been to offer high-profit accessories to help dealers prosper. Sirui tripods, monopods and heads achieved unparalleled growth by offering an unmatched combination of quality, innovative design and value. We continue to introduce new models and features, with Sirui’s design and build quality impressing photographers. Marumi, which continues its commitment to quality filter manufacturing in Japan, introduced EXUS filters. With innovative, patented features such as antistatic, 12-layer oil- and water-repellent multicoatings, an ultra-low-reflection/ultra-high-transmission design and Teflon-coated threads, they achieve a new level of filter quality and performance. Today, we’re all dependent on battery-operated devices. Whether at home, in a dorm, a hotel or a car, you need multiple chargers. One for your phone; one for your iPad; one for Bluetooth; one for your camera. One for AA and AAA batteries. Our German-engineered PIXO C4 universal quick charger is the one charger for all these devices. While we still supply Pana-Vue slide viewers for people who want to view their slide collections, Pana-Vue Pana-Scan scanners provide resolutions to 14 megapixels and make scanning, sharing and archiving easy and economical. Every camera you sell should go with extra memory cards, a card reader and batteries. Color-calibration tools like Qp cards help photographers get better images, while Mirror, Mirror on the Camera and the Bottle-Top pod are just fun. Despite this being a challenging environment for digital imaging retailers, there are some bright spots in the market, especially if retailers focus on selling higher end camera models and promoting unique features and accessories. For example, Eye-Fi offers wireless media cards for cameras that allow users to automatically upload photos, no cable required. And in general, storage solutions and memory are more in demand as image resolution increases and more consumers accumulate a stockpile of photos. We advise dealers to forecast carefully for the holiday season; accurate inventory is essential to success. And they should take full advantage of bundle opportunities through add-on sales and accessories, to maximize margins on whatever business dealers do capture. Staff should emphasize the drawbacks of smartphone photography, which usually only functions well in bright light. A cameraphone’s capability barely compares to the more professional results of even a basic point-and-shoot camera. Digital cameras offer a range of advantages for the more discerning user, including higher resolutions, extended zooms, integrated Wi-Fi and GPS, quick burst rates, optical zooms and waterproof options. Not a day goes by in our industry when we don’t see an e-mail or blog post about smartphones and tablets. Indeed, they seem to have taken over the world! What’s more is the fact that these devices are playing an ever-increasing role in the photographic activities of our customers. They are taking high-quality pictures and videos with their phones and viewing and sharing them on their tablets. All of this has an impact on our business. The challenge is making this impact a positive one. Photo retailers need to capitalize on the fact that their customers are using these gadgets photographically by offering accessories that benefit this application in a way that other retailers don’t. Accessories that turn an iPhone into a DSLR remote or allow wireless transfer of images from the camera to the tablet are examples of products dealers can offer—using the expertise their customers may not find at the local big-box store. The bigger challenge is creating awareness of the fact that these accessories are available at the photo retailer. This is not a connection that is naturally made, so dealers must raise the visibility of these products in their stores by establishing a “Mobile Lifestyle” department to catch the attention of customers. Looking forward to 2014, we see further changes in consumer behavior and the type of products that will be in demand in the imaging industry. It’ll be important for dealers in this space to continue adapting and becoming aware of how various product categories are converging, as well as how customers continue changing the way they create and share photo and video media. Over the next 18 months we expect to see continued growth in the action camera segment. Manufacturers continue to expand this category with new products and accessories that address the needs of specific verticals and demographic groups, while lowering barriers to entry in terms of price and technology. We are already seeing this shift happen as electronic retailers are starting to dedicate more floor space and significant POS displays to this emerging category. Parallel to the growth in the action camera segment, we anticipate the memory and storage category to continue expanding with products designed to take advantage of faster write/read speeds and new wireless technologies that make it easier to share, store and organize media. The “good enough is good enough” culture among consumers has undermined merchants and vendors from coast to coast. Our self-serving desire to sell the “best” product is out of step with our neighbors’ willingness to accept convenience over quality. We can be frustrated about this or we can evolve our businesses to address this new reality. It will not be easy, and there will be many difficult decisions to be made. The fight for consumer discretionary dollars is the greatest threat to our businesses. Our suppliers have failed to nurture the industry with their lack of marketing efforts to remind customers that photography is the best hobby in the world. Capturing that “Kodak moment” is still an important part of life, and enjoying those memories will be best accomplished when you use a device committed to photography rather than a cell phone. There is a huge embedded base of DSLRs, so the opportunity is in educating consumers on how to get the most from their cameras, which includes buying a better lens, a monopod, a flash or reflectors. It seems that using a DSLR for video capture is a benefit of cameras that few consumers have yet to grasp. We must teach them how to, and we must open the door to continuous light, microphones and video-head sales. Gabrielle Mullinax, President, Fullerton Photographics, Inc.
I’ve been thinking about what this means for all of us in photo-imaging today. What I’ve come up with is so simple. We are capable of creating magic. We have the technology to do so and the innovative ideas necessary to deliver products and services that delight the consumer. What an awesome place indeed. Moving beyond the commodity that was once all we could deliver, to this new arena of any deliverable we can dream up, presents us with a marketing challenge. How best do we communicate all the wonderful things we can do? From metal prints to collections of “Celebration of Life” products, from archiving and video transfers to acrylic prints and wedding invitations. We have so much to share with the world and no industry leaders to lead and inform. It is up to us now. 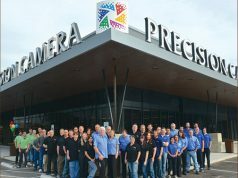 Like many others, our family-owned imaging retail business is long established. In the century we have been in business, we have literally seen the rise and fall of film photography. During that time we adapted, innovated, copied, learned from our peers and followed the industry leaders. Today is a time to do it all again, and we are excited and almost overwhelmed at all the possibilities ahead. Imaging retailers need to find ways to be exciting and relevant to today’s consumers. We need to offer the latest gear and prove we provide the best value. We need to teach our customers how to make better images regardless of what device they use or where they bought it. We must offer the most innovative imaging products and services plus have an easy and fast way to order them and produce them. And we must clearly communicate all of this to our customers in the way they want to hear it. We just finished a video transfer promo special that resulted in 4,200 transfers in one month. We are making twice the number of prints on metal as canvas. It seems like everyone wants a photo book. Our new kiosks transfer images wirelessly from phones. None of this was possible just a few years ago. The photographic industry is reinventing itself. I am not sure that change is happening voluntarily, but it is going to occur, like it or not. We all need to face the inevitable if we want to survive and thrive. There is a connected revolution occurring right now! The very rapid decline of point-and-shoot cameras is just the precursor to what is going to come next. Anyone who tells you traditional cameras are going to be strong for the next decade are the same folks who said film would be strong for 10 years after digital cameras hit the market. No devices are going to be sold, in just a few years from now, that are not connected to the Internet—be it a camera, smartphone, tablet or whatever. We need to gear our businesses for this inevitability. When we opened our store five years ago, we created a different business model than was seen in the traditional camera store. Unique’s in-store, education-based model has been extremely successful, and we anticipate our education program will grow in 2014 as it did in 2013. Our programming will look to start speaking to the future of photography and the connected market that will come. What does that mean? It means more hands-on workshops relating to connected cameras and how to best utilize these multifunction devices to share images. It also means training salespeople and acquiring appropriate sources for the connected devices of the future. For retailers, I believe it is a mistake to wait for the traditional vendors to supply these new connected devices. We are actively pursuing nontraditional suppliers and vendors who we think will be the leaders in this technology going forward.